By Scott Hilton, Chief Revenue Officer, Walmart eCommerce U.S.
With that in mind, we’re making two significant changes to our marketplace shopping experience. We’re working with our marketplace sellers to make millions of items available for free two-day shipping without a membership fee and simplifying the returns process for items purchased from marketplace sellers, including launching the ability to facilitate returns of these items at any one of our 4,700 stores. The improvements will begin to roll out this November, just in time for the holiday season. 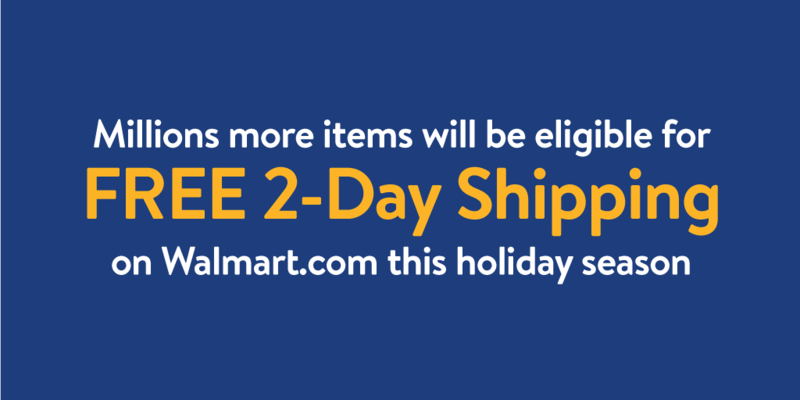 Two years ago, we launched free two-day shipping with no membership fee on millions of items that customers buy the most on Walmart.com. Customers love the offer and the ability to get products quickly without having to pay an annual fee. In the coming months, you will see millions of additional items with the two-day free shipping label as we work with hundreds of our high-performing marketplace sellers to extend the offer to their eligible items. 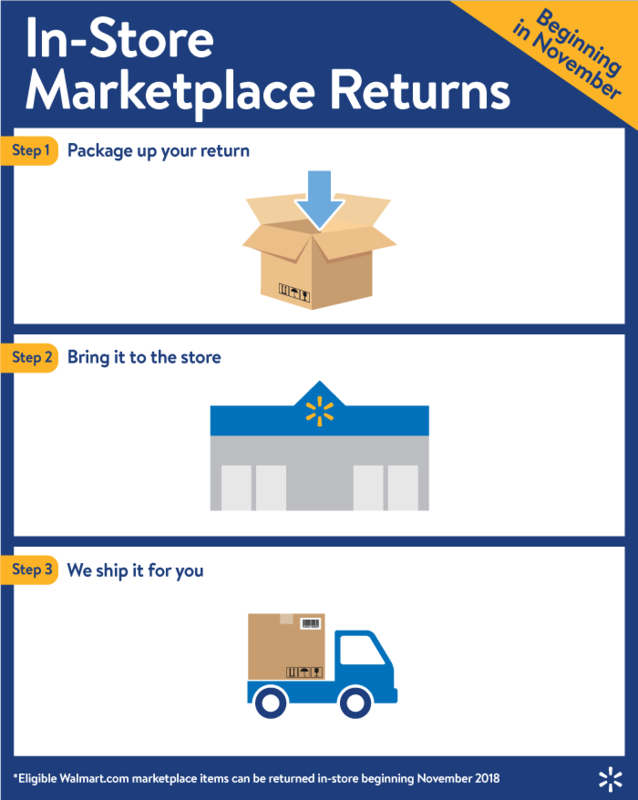 A great product return experience is a top contributor to overall customer satisfaction and repeat purchases, so we’re simplifying the process for marketplace items – all a customer has to do is log in to his or her Walmart account, print out a return label and ship back to the seller. This experience is beginning to roll out now. And, we’re not stopping at simplifying the return process online. To make it even more convenient for the 140 million customers who shop our stores weekly, we are launching the ability to return eligible marketplace items in store. With 90 percent of Americans living within 10 miles of a Walmart store, we think this is going to be a real game changer for our customers. The holidays are quickly approaching, and, with that, the annual increase in shopping for everything from everyday essentials to holiday gifts. We’re confident that, with these new changes to our marketplace, holiday shopping will be that much easier. *Free two-day shipping is available on orders over $35. Available in the contiguous United States.